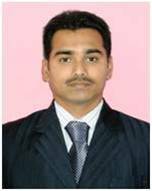 Dr. Rahul Mane is presently working as DST - Young Scientist in Department of Chemistry, Shivaji University, Kolhapur, India. He has received a doctorate in material science from Shivaji University, Kolhapur. He has published more than 45 research papers in, International Journals and 75 papers in International, National Proceedings of the Conferences. He has awarded with Departmental Research Fellowship (2006), UGC Meritorious Scholarship (2008) from Shivaji University, Kolhapur and Young Scientist Fellow by DST 2012 (Government of India). At the outset, Ministry of Science and Technology (DST-SERB,India) sanctioning Major research project under Fast Track scheme for Young Scientist. He has also published 01book 08 book Chapters. He is Reviewers of 46 Journals. He is served on the Editorial, Associate Editor & Advisory Board member for 15 journals. He is also served on a Member of Organizing Committee, Technical Programe Committee and Scientific Advisory Board for Several International conferences. He is Member of several material science societies. His research area includes materials science, nanotechnology, Synthesis and characterization of mixed metal chalcogenide thin films for solar cell application. My research area includes materials science, nanotechnology, Synthesis and characterization of mixed metal chalcogenide thin films for solar cell application etc. 14] NOVEL SYNTHETIC ROUTE FOR QUATERNARY MoBiGaSe5 MIXED METAL CHALCOGENIDE (MMC) THIN FILMS. S. P. Patil1 , R. M. Mane2 , R. R. Kharade2 , S. S. Mali3 and P. N. Bhosale2 * Digest Journal of Nanomaterials and Biostructures, 7,1,2012, P237-245. Impact Factor: 2.75. 15] PHOTOELECTROCHEMICAL CELL PERFORMANCE OF CHEMICALLY DEPOSITED MoBi2Te5 THIN FILMS. M. M. Salunkhe, R. M. Mane, S. S. Mali, P. S. Patil and P. N. Bhosale Journal of Advanced Materials Letters. 3(2012)71-76. Impact Factor: 1.75. 16] Synthesis and characterization of nanocrystalline MoBi2Te5 thin films. M. M. Salunkhe, R. M. Mane, S. S. Mali, P. S. Patil and P. N. Bhosale Journal of Philosophical Magazine Letters. 92, 10, 2012, 563–571 Impact Factor: 1.75.